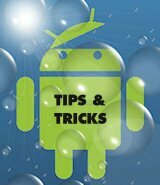 Here is a collection of various Android tips, tricks and tweaks – a few of them are very common and some are less well-known. All of the tips and tutorials are tested on a HTC Hero / Desire, and although a few of them are HTC specific, they should work on most Android phones. I’ll update this post whenever I come across something new that fits the list, and I hope it eventually will grow into a quite respectable Android FAQ. If you’re an experienced Android user, you might know much of this already. But then you might have a tip or trick up your sleeve that is not listed here? Describe it in a comment and I’ll add it to the collection! If your device is in silent mode, you can quickly turn the ringer on again by pressing the Volume up hardware button. If you have your phone set to silent mode, pressing the volume down hardware button will activate vibrate mode. Turning your device upside-down when you receive a call will mute the ringtone. Pressing the volume down button will have the same effect. When using the on-screen keyboard, the best way to end a sentence is to double tap the space bar: it will then do a full stop, space, and capitalize the next letter. If you want to edit a text, like an SMS, and have a hard time getting to the correct spot by tapping the screen, slide your finger in any direction over the trackball to get to the right spot. Double-tapping a word will select it when writing with the on-screen keyboard. You can also use the trackball to switch between your homescreens by swiping your finger across it. 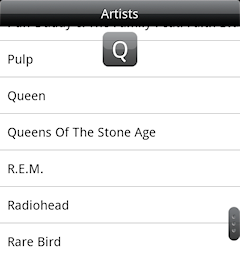 In long lists, like your contacts or all the songs in your music collection, flick the screen to scroll down and then tap the gray scroll bar that appears to the right to quickly go to a certain letter in the list. If you think it’s difficult to grab the just mentioned scroll bar, tap and hold the screen and use two fingers to scroll – it will then appear automatically. To see the current date, just tap the notification bar and it will be displayed in the upper-left corner of the screen. When the screen is off, you can double press the Menu button to bypass the Lock screen. Pressing the Menu button from the Lock screen will also wake the phone, if you don’t want to do the swipe gesture. This requires that the “Unlock pattern” option is disabled, and will likely not work on devices running Android 2.2 or above. During a call, hold the hardware Call button to activate the speakers. You can also turn the speakerphone off and on during calls by pressing the Menu button. The Search button on your device that looks like a little magnifying glass is very handy. It can be pressed almost anywhere to bring up a search function. Hitting the Menu button on your device will almost always bring up a menu with options. 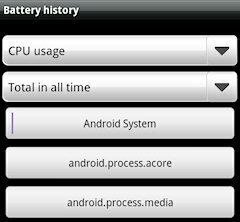 On most devices, you can dial *#*#4636#*#* to bring up a hidden screen that gives you lots of statistics as well as various information about your phone, including battery usage. If you tap on a contact picture in the Messages or People / Contacts apps, a pop-up box will be displayed that offers quick links to certain actions: call, email, SMS, Google Talk, open contact, and find on map – depending on the data contained in the contact’s details. This tip also applies to the third-party messaging application Handcent SMS. On Android phones with HTC Sense, you can pinch the screen to bring up an overview of all the different homescreens, in order to quickly switch between them. You may also press the Home key when you have the main (middle) screen selected to display the overview. If you press the Home button while on any of the other screens, you will jump back to the main screen. Pressing the Menu button in All apps will let you switch from Grid mode to List mode. This is common knowledge, but when you set a new custom wallpaper for your homescreen, make sure to use the box to select the largest possible area of the image, or your wallpaper may look pixelated. To add a new photo album, simply connect your Android phone to a PC via USB, create a new folder on your SD card and give it the name of your choice, using your computer’s file manager. Add pictures to this folder, and the next time you start the Photos / Gallery app on your device, your new album will be listed. If you don’t want to use the hardware Back key in the HTC Gallery app, you can tap on the button with the three lines in the bottom-left corner of the screen instead, and when you view a picture in full-screen, simply tap on it once to go back. Holding down the Back button in the web browser will bring up a list of recently-visited pages. Double tap in the browser to zoom, and on most devices you can also zoom by pinching the screen with two fingers (multi-touch). This will also work in the image gallery. 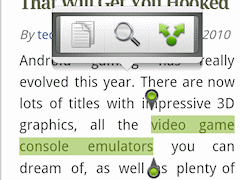 To copy text in the web browser, tap and hold and select Copy text from the resulting pop-up menu. On newer versions of Android, two select marks are shown instead when you tap and hold, that you can drag around to select text. Three icons will also be displayed: the pages icon will copy the selected text, and the green upwards arrows lets you share the text. Finally the magnifying glass lets you do the following: look up the selected text in Wikipedia, translate the text or look it up in the dictionary. Long-pressing the address bar will let you quickly share the current URL. Long-pressing an image in the browser will allow you to save the image and share it via email and MMS. You can tap on addresses and phone numbers in the browser even though they aren’t links, and you’ll get the option to show the location in Google Maps or dial the number. You can long-press (tap and hold) basically anywhere in Android to produce a pop-up menu with options, much like clicking the right mouse-button in Windows. If you don’t want to press the trackball to take a picture when using the camera, you can simply tap and hold the screen instead. Holding down the Home button will list the most recently launched applications, for convenient multi-tasking. If your Android device has a trackball, in many cases pressing and holding it will have the same result as a long press on the screen. 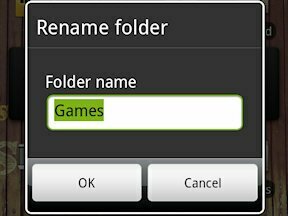 Almost all Android users know how to create a folder on the homescreen (long press/Folder/New folder), but do you know how to rename it? Tap and hold the folder’s title and you’ll be able to edit it. On Android devices featuring HTC Sense, tap and hold the word suggestion bar when writing with the on-screen keyboard, and you’ll be able to change its position by dragging it around. To forward a text message, press and hold it and select Forward from the menu. Some applications add functions to a long-press on the hardware Search button – press and hold this key on your device to see what happens. Handcent SMS and Quick Settings, for example, are two apps that let you assign a command to a long-press on the Search key. If you hold down the Menu button, the on-screen keyboard will pop-up and if there is something that can be searched, you can use the keyboard to make a search. You can place Navigation shortcuts on your homescreen that let you quickly get directions to a certain location. Long-press on your homescreen, select Shortcuts > Directions & Navigation, enter a destination, the way you want to travel, select an icon and that’s it! Update: This method doesn’t work on recent HTC devices like the Desire. You can still get a homescreen similar to vanilla Android by installing LauncherPro. Press the Menu button and tap on Settings. Scroll down and select the Applications category. Press Manage applications. If you have a lot of apps installed, it will probably take a while for the list to load. Be patient. Locate TouchFLO in the list and select it. This will bring up the Application info screen. Tap on the Clear defaults button. Now press the hardware Home button, and you should be asked how to complete the action. Select “Use by default for this action” at the bottom of the pop-up box, and then tap on Home. That’s it! From now on, each time you press the Home button you’ll go to the standard Android homescreen. If you want to go back to HTC Sense later on, follow the same steps as above but select Home in the list of applications instead of Touchflo. Since Home isn’t running concurrently with Sense on recent HTC devices powered by Android 2.1 or higher, the method described above won’t work. You can still get a homescreen and launcher experience that is similar to the vanilla Android, by installing the excellent LauncherPro. It currently has an impressive 4.71 / 5 rating at the Market based on 4600 votes. Other options are HelixLauncher or HelixLauncher 2. Slide down the notification bar (window shade) on your phone, tap on the USB connected icon and then press the Mount button. This will allow you to access the memory card via your computer’s file manager. Open your memory card and create three folders in the media/audio folder on your SD card titled ringtones, alarms and notifications. Copy your various ringtones to the appropriate folders. You will now be able to choose from them when changing the sound settings on your phone. If you want to get new sounds directly from your device, check out Ringdroid and Zedge. Set the default notification sound from Settings > Sound > Notification sound. Set the Gmail ringtone from Gmail > Menu > More > Settings > Select ringtone. Set the Google Talk ringtone from Talk > Settings > Select ringtone. Set the sound for incoming text and multimedia messages from Messaging > Menu > Settings > Notification sound. Set the Facebook for Android notification sound from Facebook > Menu > Settings > Notification ringtone. Set the Calendar notification sound from Calendar > Menu > More > Settings > Reminder settings > Select ringtone. If you use HTC’s Twitter app, you can set its ringtone from Peep > Menu > More > Settings > Notification settings > Notification tone. Voilà! That’s it, you will now be able to hear what kind of message that just arrived to your phone. To hard-reset your phone, tap on the Menu button and enter Settings > Security > Factory data reset. Press the Reset phone button to complete the procedure. On the HTC Hero, you can also perform a hard-reset by pressing hardware buttons. While the Hero is turned off, simultaneously press and hold the Home and Back buttons, then briefly press the End call/Power on button. The reset process will start after a couple of seconds. Now you need to download and install the Android SDK on your computer from http://developer.android.com/sdk/. Once you’ve downloaded and extracted the package, run SDK Setup.exe and click on Available Packages to the left. If you get an error message at this point, enable “Force https://…” in the Settings. From the list of available packages, select “Usb Driver package”, click on the Install Selected button in the bottom right corner and follow the prompts. Run ddms.bat from the android-sdk/tools folder and select your phone from the list to the left. It should look something like this. From now on, taking screen shots is easy. Just press Ctrl+S (or select Screen capture from the Device menu) and click the Save button at the top. Press the Menu button and go to Settings > Language & keyboard > Touch Input > User Dictionary. From this screen, you can add, delete and edit words in your personal dictionary. Press the Menu button and go to Settings > Applications > Manage Applications. Locate Touch Input in the list of programs and tap on it. Press the Clear data button to erase the custom dictionary. Those sporting a HTC Magic (in the UK, at least) is supposedly able to edit the dictionary from Settings > Locale & text > User dictionary. Adding links to the Android notification bar will give you quick access to the applications you use the most, without having to go to the homescreen. 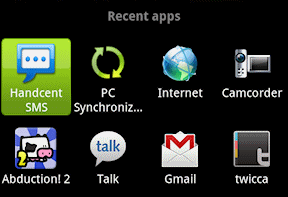 To do this, simply download the application Bar Control from the Android Market. There may be other choices out there, but this application is likely the best one available at the moment. Here is a QR code for Bar Control that you can scan with the Barcode scanner app and it will take you directly to the Android Market. Open the person’s profile in your standard Contacts list. Press the Menu button, tap Options and check the Incoming calls box. That’s it! Press the contact you want to send straight to voicemail. Scroll down to the Information category in the resulting screen, and tap on Send to voicemail. You will be asked to confirm the action, press OK and you’re done. Tap on the contact you want to automatically send to voicemail. Press the Menu button and select Edit. Scroll down to the bottom of the list of options and check the Send calls directly to voicemail box. I guess we’ve all gotten the dreaded phone storage is getting low notification on our Android devices at one point or the other, since Android didn’t allow the installation of applications to the memory card until Froyo arrived. Even with Android 2.2, being able to free up a couple of MB on the internal storage may still come in handy. This can be achieved by clearing the cache that some applications use. Go to Settings > Applications > Manage applications on your device. Press the Menu button and select the Sort by size option. If you see an application somewhere at the top of this list that you do not use, you can of course uninstall it by tapping on it and pressing the Uninstall button. But what we’re looking for are apps that may have a large cache. To check if an application has a cache, select it in the list and it will be stated on the resulting screen. To clear the cache, simply press the Clear cache button. Some apps that may have a large cache are Maps, Market, Internet and Photos. 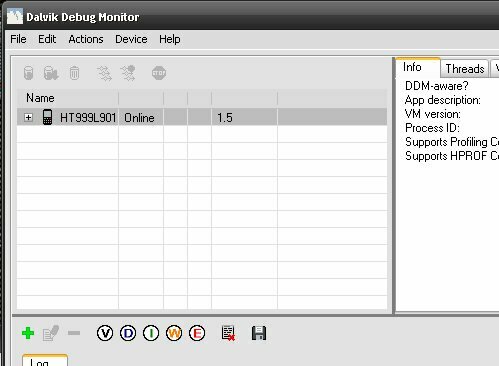 You may also clear the data that’s associated with an app from the Application info screen. This will erase all the data the app has generated: basically, you’re “hardresetting” the application. In case you use homescreen replacements such as LauncherPro and have no intention of switching back to Sense or the vanilla launcher, you can free up a lot of space by clearing the data for HTC Sense or Home. There are tools in the Market that will automatically list all apps that have a cache: Quick App Clean Cache ($0.76), and if you have root access you can also give CacheCleaner, CacheMate and MoveCache a try. Footprints is the geotagging application that comes with HTC devices that feature the HTC Sense UI, like the Hero, Desire and the Incredible. It’s easy to do a manual backup of your saved footprints, since they are stored in a folder on the memory card. This will allow you to access the memory card via your computer’s file manager. Open your memory card and select the folder called .footprints located in the root of the card. To make a backup, simple copy this folder (including subfolders) to your computer. If you want to, you can compress the folder as well, send a copy to your Gmail address, and apply a Backup label to it. That way, you’ll have a safe copy even if your hard drive crashes. To restore your footprints, simply copy the .footprints folder to your memory card. To control which apps are allowed to start automatically, download Autostarts from the Market. It will let you know what goes on behind your back on your Android phone. Here is a QR code for Autostarts that will take you to the Market. Autostarts only cost $1, but since it’s a paid app, it will unfortunately only be available in a limited number of countries as of now. If anyone know of a free alternative, please leave a comment. I’ve always thought that start-up sounds on phones not only are annoying, but also pointless. Why would you want a phone to make a noise during boot up? There are three ways to disable it, and one of them requires root access. To disable the boot sound on your Android device, you can install a tiny application called Silent Boot. Please note that the app must be installed to the internal storage, or it won’t work. Silent Boot provides the following workaround: it mutes your phone when you turn it off, which will disable the start-up sound, and restores your previous volume settings after startup. You might also be able to mute the start-up sound by turning the System volume setting to zero. On phones with HTC Sense, this option isn’t available in the default Settings screen. Instead, download an app called Quick Settings and use its Volume control feature to turn off the System volume. On the Samsung Galaxy S (Captivate/Vibrant), you can simply do it from Settings > Sound & display > System volume. If you have root access, you can also try a permanent workaround. Instructions for some popular Android phones are provided at the forums below. The Android OS has many strengths, but state-of-the-art features and always being connected come with a drawback: comparatively large battery consumption. Luckily, there are ways to improve the battery life on Android phones. To improve the battery life, you can check out TechCredo’s 19 tips to make your Android phone run a little longer on each charge. Sometimes it’s handy to be able to prevent unwanted media files from appearing in the song list of music players, or hide images from your picture apps. For example, voice files for a GPS navigation application, or sound effects for a game, may get mixed with your favorite songs when you listen to music. The simple solution for this issue, is to create a .nomedia file and place it in the folders you want to hide. On your computer, start Notepad or a similar text editor. Save the blank file as .nomedia. Make sure that the Save as type is set as All Files instead of the default Text documents, or you won’t be able to save the file without a file extension. You can also download a .nomedia file here. Copy that file to the folder on your memory card containing the audio or image files you want to hide from media players. Reboot your device, and the files should no longer be viewable. The apps that created the files will still be able to access them, though, and they will still show up in a file explorer. The native Android browser lets you sort your bookmarks by date, by how frequently you use them, and by their initial letter. However, on my HTC Desire, the Mostly used option isn’t saved from session to session, and in any case, there’s no way to manually sort your bookmarks in the exact order you want them. Luckily, there’s a handy little app called Bookmark Sort & Backup that fills this current gap. Every time you search for an application in the Android Market on your phone, that specific search is saved, and it will show up the next time you make a Market search. If you want to delete the Market search history, you can use an application called HistoryEraser. Those who still are on Android 1.5 Cupcake should use MarketHistoryEraser instead. Music apps that play MP3 files on your memory card look much better and are more fun to use when the cover art is available for each track in your collection. 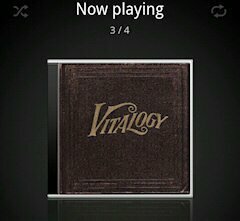 However, if you have converted your CDs into MP3s yourself, the album covers will usually be unavailable. Two apps in the Android Market that check your music collection and download missing cover art to your SD card are Album Art Grabber ($1.99) and Album Art Grabber Free (from two different developers). Both apps are easy to use and should be compatible with most HTC devices and many other Android phones as well. 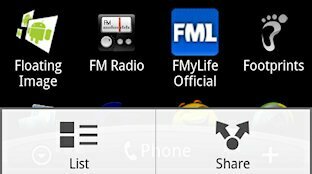 If your music albums lack covers, these apps should be able to remedy that. To install an app to the SD card on Android 2.2 Froyo, the application itself is supposed to support it first. Furthermore, Froyo installs all new apps on the internal storage by default, except for those that explicitly request external installation. There is a tweak, however, that will make the system automatically install almost any app to the SD card instead, even apps that otherwise would be locked to the internal storage. Check out TechCredo’s tutorial for instructions. A ‘force close loop‘ is when an unstable application is involuntary closed by the system, and then it’s automatically launched again, then closed, and this goes on and on, and prevents you from accessing any of Android’s menus to kill the loop. If it’s an app that is launched each time you start your phone, even rebooting your device won’t help. That’s when it’s time to activate Android’s Safe Mode. Turn off your Android device. Even though you’re stuck in a force close loop, you should be able to do it the normal way – if not, just remove the battery. Hold down the hardware Menu button on your phone. While pressing the Menu button, turn on your phone and keep holding down the Menu button until your phone has fully started. You should now see “Safe Mode” printed in the lower-left corner of your screen. When you’re in safe mode, no third-party apps are loaded, and you can easily uninstall the app that caused the force close loop by going to Settings > Applications > Manage applications. Turn off your Nexus One. Remove the battery if you have to. Press the power button to start your phone, and just when the logo appears, press and hold the trackball. You should also be able to hold down the touch sensitive Menu button at this point, if you prefer that. Keep pressing until you see the lock screen, and you should now be in safe mode. Turn off your Droid and slide open the hardware keyboard. Press both the power button and the Menu button on the keyboard at the same time. Keep holding the Menu key until you see the “Droid Eye”, and you feel your phone vibrate. Your Droid should start and say “Safe Mode” in the lower-left corner of the screen. Go to Settings > Language & Keyboard on your device and make sure the checkbox for the on-screen keyboard you want to use is selected. Longpress on the text field you want to type into. A popup menu will appear from which you can select your preferred input method. Navigate to Settings > Language & keyboard and use the checkboxes to select which keyboards to activate. From Settings > Language & keyboard > Current input method, choose which keyboard you want to use by default. Some Android phones come with native DivX support, such as the Samsung Galaxy S, but Android fans have usually been forced to convert videos into a supported format before watching films on their handsets. But now there are actually a few apps in the Market that can play DivX videos. What all these applications have in common, is the use of libraries from the FFmpeg project to decode files. The best ones so far are RockPlayer, VPlayer and arcMedia. There are many Android backup utilities that can make a copy of all your apps that later can be restored, but they don’t bring back the associated Market links and data. This means that they won’t appear in the Market’s Downloaded section and you won’t be able to enjoy automatic updates, unless you manually download the apps again. Luckily, there’s a tool that can backup and restore your apps and all their associated data – including Market links: Titanium Backup. It requires root access. Two common Android error messages that have managed to drive many increasingly frustrated users loco are “download unsuccessful” and “installation unsuccessful” when trying to download apps from the Market. It’s often the .android_secure folder in the root of your memory card that’s causing these errors. For a more detailed explanation and a list of other popular solutions, check out TechCredo’s tutorial on the subject. The HTC widgets don’t create any unnecessary entries in the widget list, since you simply pick the widget you want to add and then get to choose from the various styles. However, most other widgets that come in more than one size create a separate entry for each of its sizes, which makes it harder for you to find the widget you want. The Android system could have fixed this by grouping widgets that have multiple entries, but it doesn’t. An XDA member decided to do something about it, and released a utility that replaces the stock AppWidgetPicker app, and it groups widgets by packages. If you have a widget that comes in 6 different sizes, there will be just one entry in the list and when you tap it you can choose the size from a second screen. To get this app running you need root access because of permission restrictions. The new and improved AppWidgetPicker.apk can be downloaded from this thread at the xda-developers forum. You got to love the openness of Android and Google. What other company in the business of selling ads would allow an app in its Market that… blocks ads? Apple would have banned it in a heartbeat and probably, as a precaution, tried to have the developer either wacked or arrested. To block ads on your phone, both in applications and websites, you need root access and a tool called AdFree Android that’s available in the Market. It works great. The (likely) solution in one sentence: put the SD card in another phone (or a memory card reader), connect it to your computer as a disk drive, run a Windows disk check on it, backup its contents and then put the memory card back in your Android phone. Voilà! Check out this post for a more detailed tutorial. Sometimes when I’ve copied a set of wallpapers to the SD card on my HTC Desire, the Gallery app simply refuses to update itself and reflect the changes. SDrescan is a tiny app by a developer called Benjamin Rosseaux, and it simply invokes Android’s media scanner in order to add new files on the SD card to the various libraries. A quick and simple solution whenever Android falls short. Here’s a post about this if you want to read more on the topic. One of the main benefits with having root access on an Android device with a limited amount of internal storage, is support for A2SD+. It installs virtually every app to the external storage, so you can more or less expand your internal storage with the size of the partition you create on your memory card. The easiest way to do this is with the free app ROM Manger: just make a backup of your SD card, launch the app, select the Partition SD Card option, restore all your files from the backup and that’s it. But the largest partition ROM Manager allows you to create is just 512MB, and if you want a bigger partition you need to use GParted. It can be a bit tricky, though, if you haven’t done it before: here’s a detailed tutorial. A softreset is essentially a reboot, and it turns your device off and then on again. This is useful if your Android is behaving badly, and when there are changes that won’t take effect until your phone is restarted. You could of course just manually shut down your device and then start it again, but a full-on softreset is quicker and smoother. There are apps on the Android Market that perform a soft reset, but they all require root access. The key combination below is compatible with the HTC Desire, but it will probably work fine on other Android phones as well, especially if they’re manufactured by HTC. To softreset the HTC Desire, simply press and hold the trackpad, power button, and the volume down button simultaneously, and it will reboot. If your Android handset has a hardware QWERTY, you can use keyboard shortcuts for various actions. Some shortcuts may vary from one Android device to another, but most of these key combinations should work on any Android phone. You can create your own keyboard shortcuts from Settings > Applications > Quick launch. Activate Caps Lock Shift + Shift (double press). Press once more to turn it off. You can customize these shortcuts and add your own from Settings > Applications > Quick launch. and your post really helps. Thanks a lot for posting this. I have the link in my email, but im not sure if Netflix want’s this survey given out, so I prefer to keep it private. I have a HTC Desire HD after latest update, I can not slide the bar at all tried factory reset tried safemode nothing works? Seems like a good idea, but she begins by talking about proposals and then switches her terminology to “report” for the remainder of the clip. Proposals and reports are, of course, very different writing genres and so this may end up confusing people. Great tips and complete tutorial…very useful for my android. my android system also remote. does anyone know how to make this things start back.